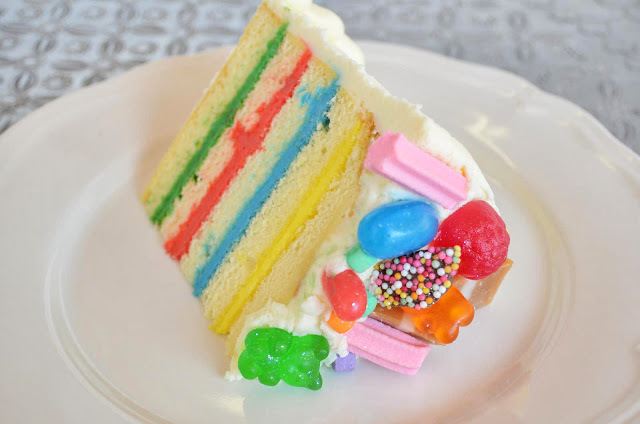 Discover the Candy Crush cake, Australia's best sandwich in Brisbane, cheap city parking (not joking! 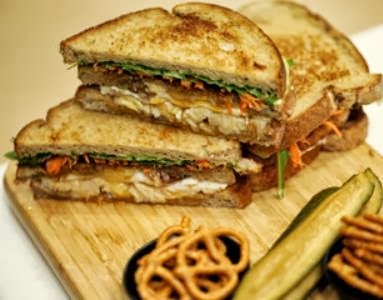 ), great breakfast menu, the best lunch deal, Oktoberfest highlights and a meat home delivery service. But first - here's more cake! Into Candy Crush Saga, the latest mobile gaming smash hit? 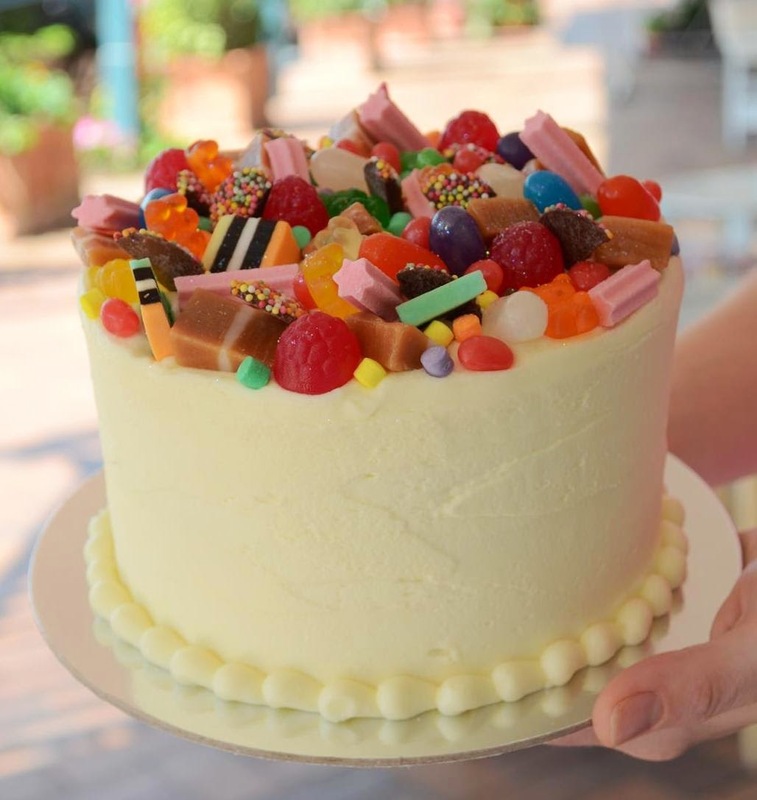 Well here’s the cake for you - vanilla butter cake with four layers of colour inside - topped with dozens of delicious tasty candy sweeties. A bit like the game, once you try this cake, it is difficult to know when to stop! Find it at Vanilla Pod Cake & Deli Cafe, Ascot. 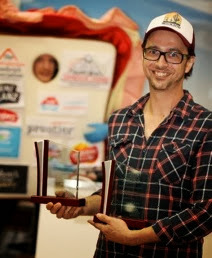 Congrats to Mal Gill, (former My Kitchen Rules contestant and owner of Shady Palms and Lady Marmalade Cafes in Brisbane pictured above) was crowned winner of The Great Australian Sandwichship 2013. 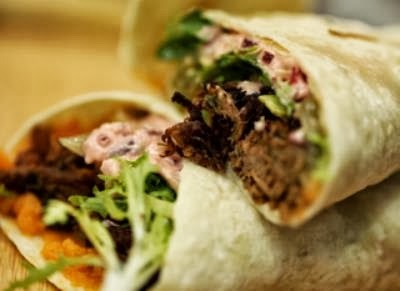 Competing against five of the best sandwich makers from across the country, Mal clinched the title with Berbere spiced shredded beef brisket wrap and a San Fran Chicken triple decker toasted sandwich. Beck Saul from Lady Marmalade Café took the Best Lunch Roll title with a Portuguese chicken, chorizo, smashed peas, feta, mint, almonds and Harissa mayo creation. Cheap city parking – yay! There’s one big issue for me when it comes to city dining and that’s the cost of car parking. Thumbs up to Il Centro for brokering a deal with Wilsons, convenors of the Eagle Street car park which gives Il Centro diners discounted parking rates. Think $5 after 5pm on weeknights (I think I paid $15 last time), $5 per day on weekends and $20 for 4 hours at lunch time. Smart thinking guys! Who’s next with a good parking rate when you dine? Top marks to Shucked for their inventive breakfast menu names. Would you like a French Kiss, Beets of Bourbon or Batter the devil you know? (Eggy brioches stuffed with caramelised apple, served with bacon and a warm butterscotch sauce ($19); Red quinoa and haloumi salad with beetroot sumac relish ($16) or Ricotta hotcakes with strawberries and sweet rose mascarpone ($18)). There’s even a Baby Brunch (pictured above) with dutch pancakes, yoghurt pot, fruit, juice or milk for $8 (under-fives only please). Fifth Element Bar and Restaurant at South Bank is offering any item from their lunch menu and a glass of either wine, beer or soft drink for $15. Available from Wednesdays to Sundays between midday and 3pm. Tell them you saw it on Ed+bK! Tempt your taste buds with German sausages, pretzels, pork knuckles, chicken schnitzels and to-die-for-desserts including traditional Black Forest cakes, Bavarian cheesecakes, apple strudels and more at Oktoberfest in Brisbane. Don’t miss the chance to do the ‘chicken-dance’ with impunity. It’s on at the RNA Showgrounds on October 11-13 and 18-20. Here’s an answer to meal burnout. What’s meal burnout? It’s that feeling you get when someone when you stand before the fridge/freezer waiting for something to jump out and say cook me! These handy little meat packs won’t cook themselves but they will lurk in the fridge or freezer, happily cryovaked into easy to use portions. Meatcart offers export quality portioned beef, veal, pork, lamb, chicken, seafood and sausages with home delivery to your door. All Meatcart products are delivered according to the strict food safety standards and arrive in an insulated cooler bag, which will keep the product chilled for a minimum of eight hours. I like that the company is 100 per cent Australian owned and everything Meatcart sells being grown and produced here in Australia supporting local farmers and industries. The meat that arrived at my door (see the photo above) was selected by Meatcart. I enjoyed the rump and lamb chops but the sausages are still waiting in the freezer for me to cook them. I wouldn’t order the marinated pork loin steak again as I couldn’t find a list of marinade ingredients. Disclaimer: Ed+bK was gifted the Meatcart products. And today you can have your cake and eat it too (virtually). 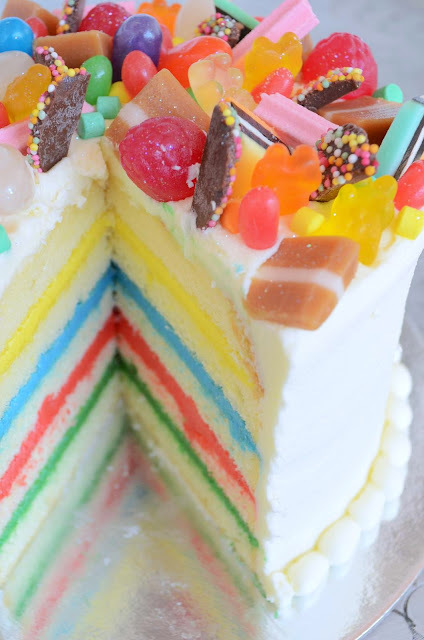 Enjoy this slice of Candy Crush Cake!